Blueberries belong to the Ericaceae family, along with the whortleberry, huckleberry and bilberry. They grow in clusters on small bushes close to the ground and range in size from that of a small pea to a marble. Ripe, fresh blueberries are full and have deep blue-purple color. If you look closely at freshly picked blueberries, you will notice a powdery, waxy coat on the surface protecting the fruit from insects and bacteria. It also helps to seal in the fruit’s natural moisture. Similar to grapes, blueberry flesh is semi-translucent and encases tiny seeds. Blueberries are an excellent source of flavonoids, especially anthocyanidins, an antioxidant and phytonutrient that acts as an anti-inflammatory, keeps the elasticity of capillary walls and gives the berry its deep color. Blueberries are also rich in vitamin B2, C and E; manganese; soluble fiber and insoluble fiber such as pectin. Blueberries are alkaline-forming in the body so help create a healthy disease free environment. The exceptional health benefits of blueberries is mainly due to its high content of the phytonutrient anthocyanidin, which is rated as the best and highest capability antioxidant. 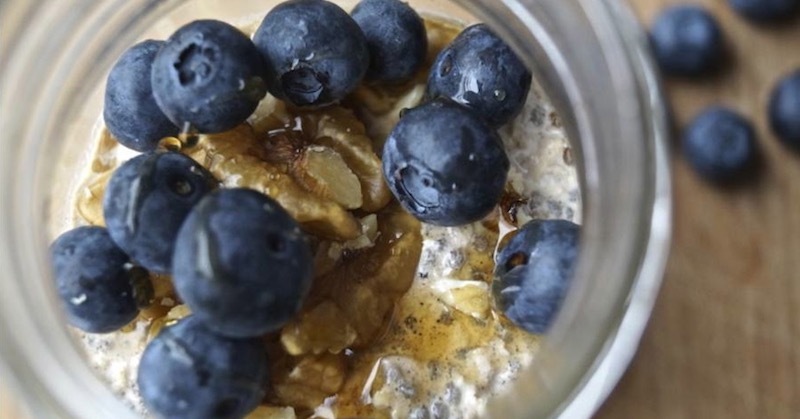 Blueberries can Help Prevent Alzheimer’s Disease prevention: Blueberries help protect the brain from oxidative stress, improve learning capacity and motor skills. Consumption makes the person alert in a healthy way, unlike stimulants. Bladder infection: Blueberry juice has a unique compound that is able to cleanse E.coli bacteria from clinging to the cells lining the urinary tract, making it an effective potion to stop recurring bladder infections. Cancer: The ellagic acid in blueberries is an anti-cancer property that can help retard the growth of tumor and cancerous cells. Cholesterol: The soluble fiber pectin not only helps lower cholesterol but is also important in combating the oxidation of cholesterol. Blueberries Relieve Constipation: The fiber in blueberries promote bowel movement. Drink half a cup of blueberry juice twice a day on an empty stomach half hour before food to encourage bowel movement. Diarrhea: The anthocyanosides in blueberries help kill the E.coli bacteria which are a common cause for diarrhea. Particularly effective when diarrhea is caused by food poisoning. The tannins also help to firm up loose stool. Blueberries ease inflammation: The powerful proanthocyanidins in blueberries are an excellent antioxidant that can help combat inflammations like osteoarthritis and gout. Nasal congestion: This magical fruit contains a substance called vasodilators that help dilate blood vessels, providing temporary relief for nasal and lung congestion. 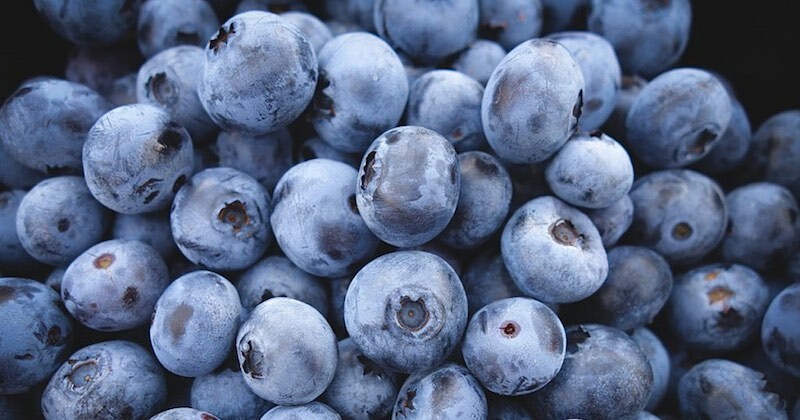 Vision: Blueberries help improve vision and providing protection against age-related macular degeneration. They are particularly helpful in improving night vision, including easier and quicker adjustments to darkness or sudden glare. They are also instrumental in protecting against the development of cataracts, glaucoma and diabetic retinopathy. In temperate climate zones blueberries are in season in mid summer. Blueberries, and the very similar bilberry can be found growing wild in hills and mountainside. However, they can be found year-round in supermarkets or bought frozen. When packed in plastic transparent boxes, look underneath as one spoiled blueberries can cause many others to rapidly go off. Remove damaged blueberries and keep dry to avoid decay. Wash only when you are ready to eat them. Blueberries don’t keep at room temperature for more than one day so store in a dry, air-tight container in the refrigerator, where they can keep for about a week. Are there any side effects to consuming blueberries? Blueberries do contain moderate level of oxalates. Individuals with a history of calcium oxalate should limit consumption. All berries are great source of vitamins, phytonutrients, minerals and trace elements including iron, magnesium and potassium. Compared with other berries, Blueberries are particularly rich in vitamin B9 (folate), vitamin C and iron.